These buttons from Vancouver’s Joan Tayler take polymer pebbles to a whole new level. 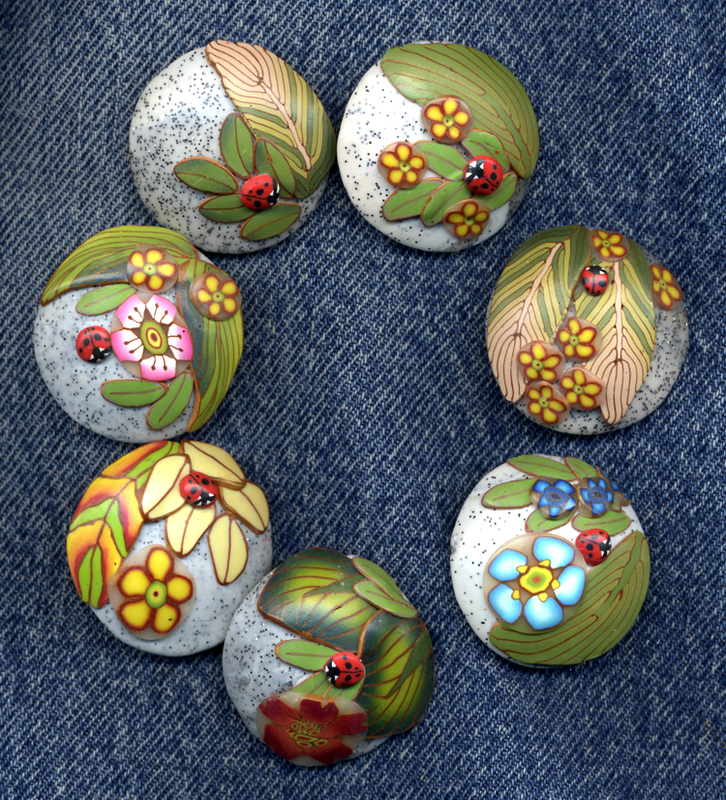 On each of them one red ladybug crawls across a domed faux granite base that’s been partially obscured by slices of leaves and flowers. Picture a thickly knitted wool cardigan finished with these bright scenes. Leaves and ladybugs were Joan’s theme for the previous week. 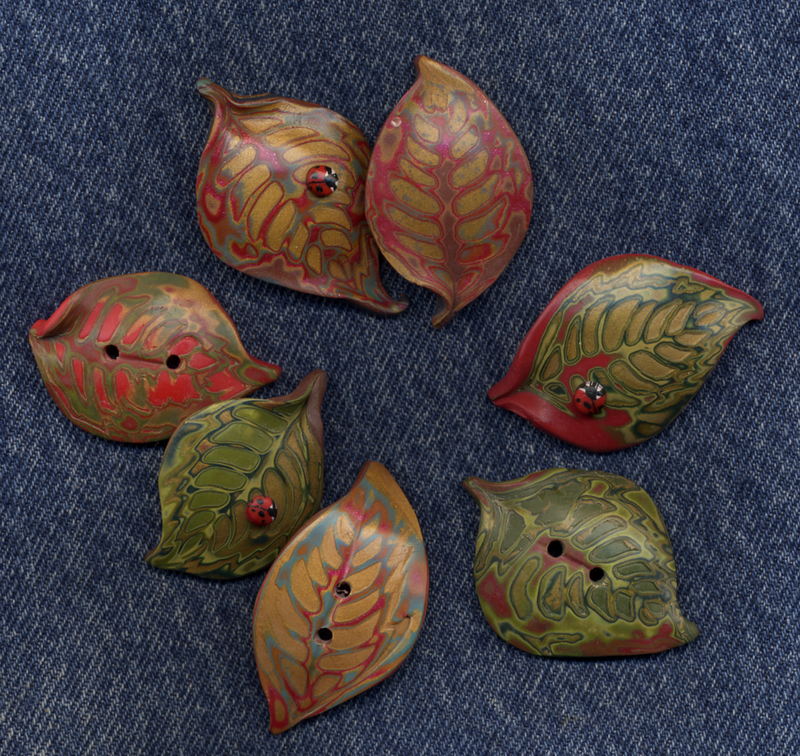 And her individually sculpted old owl buttons from week 29 will make you smile. She has an eye for woodland vignettes that delight. You can track the week-by-week progress on her button project here. Her variety of techniques is wonderful. Her button project generates motivation with goals. Makes me feel like I better get going! These are really fun and gorgeous! I love her use of the ladybug on each piece. Just darling! Wonderful work I enjoyed flipping through you entire blog, I’d love to see more whistle’s or a tutorial on how to !! Lovely work as always Joan!! So beautiful! I’ve been wondering how polymer would hold up to constant physical stress and washings. Does anyone have any idea what the life expectancy of a polymer button might be…and what polymer did you use to achieve that longevity? Just beautiful! I envision the buttons as focal cabochons, with bead embroidery all around to make a cuff bracelet, or a pendant, or even a belt, or . . . . .
I’m happy because I’m getting good ideas and learning more.